New numbers are shedding light on the potential hazards of using batteries which power many of the household devices people use and rely on every day. Last month a family from southeast Manitoba lost their home to a fire sparked by an overheated laptop. In the wake of that blaze, Health Canada shared statistics with CTV News on consumer complaints related to computers and other battery-related products. Since June 2011 Health Canada has received 59 reports of suspected battery issues in laptops. 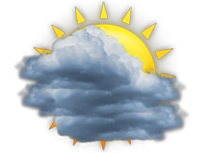 One case involved smoke, 25 a fire and the remaining 33 complaints involved overheating, explosions or sparking. 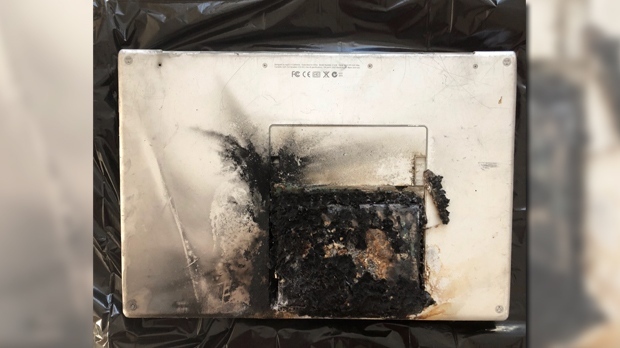 A spokesperson from the department said in an email the numbers are based on incidents people report and don't reflect the total number of fires in Canada caused by laptop batteries. It’s a hazard one Winnipeg man learned of the hard way this past September when his laptop caught fire. Rory Mitchell said he had finished watching Netflix with his girlfriend and put the computer on a nearby nightstand before going to bed. 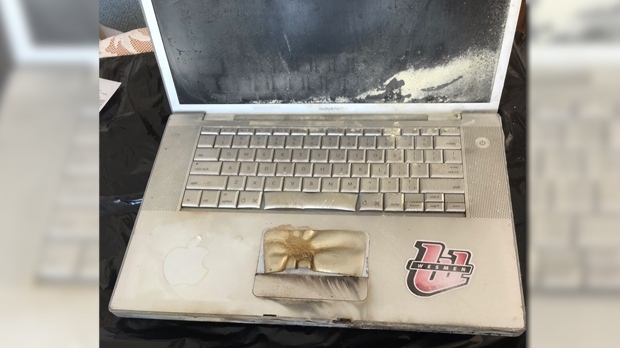 "Closed the laptop, turned it off – woke up three hours later to my girlfriend shaking me awake and being in utter shock that my laptop was engulfed in flames,” Mitchell explained. He said flames three to four feet high were shooting out of his computer. Mitchell jumped out of bed, ran for a fire extinguisher and put out the blaze. 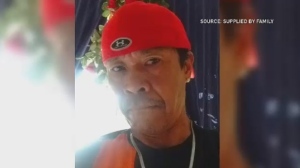 He suspects the battery caused the fire. "I definitely, the night after, had a little hesitation plugging my phone in to charge for the night," said Mitchell. Brett Duseigne, the owner of a Winnipeg-based battery shop called Battery Man, said lithium-ion batteries found in laptops, cell phones and power tools can be hazardous if they're left charging too long. Duseigne said you shouldn't leave products using these batteries sitting on beds or couches or leave them plugged in or turned on if you're not home. "This is a highly dangerous item if you let it be,” he said. The Manitoba Office of the Fire Commissioner said since 1999 a computer or laptop has been listed as the source of ignition in 13 fires in the province. In November, fire investigators determined an overheated laptop sparked a fire which destroyed Randy and Joyska Tkachyk's home near Sundown, Man. They weren't inside at the time but one of their dogs died in the blaze. Rory Mitchell is thankful his girlfriend woke up in time to notice the fire burning by their bed. "Had things been a lot worse, I might not be talking to you right now,” he said. Health Canada said since 2011 it’s received 1268 complaints regarding suspected battery issues in all products other than laptops. The department said it's not only lithium-ion batteries which can be hazardous -- alkaline batteries, such as AA and AAA batteries, can also overheat. Health Canada said it’s important to make sure alkaline batteries don’t come into contact with metal and store them in a cool, dark place away from chemicals. The department said you shouldn't toss used batteries in your garbage, either, instead recycle them at drop off locations available around the city -- you can do that at retail stores like Battery Man.